Yet, cancer represents the largest therapeutic area based on sales, racking up $93.7 billion worldwide in 2016, according to EvaluatePharma—which has projected a more than doubling of oncology therapy sales by 2022, to $192.2 billion, based on a compound annual growth rate of 12.7%. Also set to grow is the market share of cancer drugs—which is projected to expand from 11.7% in 2016 to 17.5% in 2022. Cancer drug sales growth is expected to be driven by three treatments that are among the 10 best-selling treatments for oncology indications as measured by GEN—Merck & Co.’s Keytruda® (pembrolizumab), Celgene’s Revlimid® (lenalidomide), and Bristol-Myers Squibb’s Opdivo® (nivolumab). Also projected to contribute to the sales growth of cancer drugs are AstraZeneca’s Imfinzi™ (durvalumab) and Incyte’s Phase III pipeline candidate epacadostat. 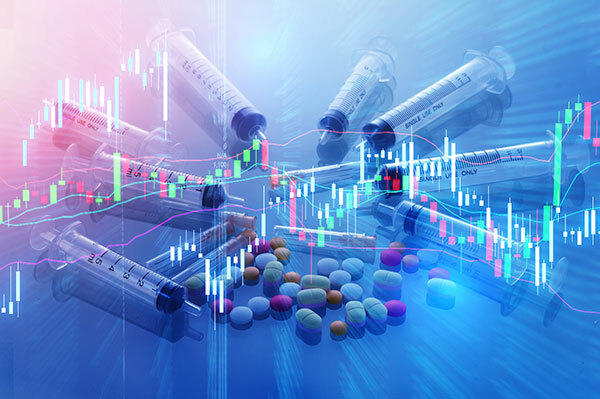 The rise of those drugs is expected to help the segment recoup revenues set to be lost to biosimilars to two other top 10 cancer therapies, Genentech (Roche)’s Herceptin (trastuzumab) and the Genentech/Biogen drug Rituxan® (rituximab, sold in some countries as MabThera). Below is GEN’s list of Top 10 Cancer Drugs for the first three quarters of 2017, ranked by sales as furnished by the drugs’ sponsor(s) in regulatory filings, press releases, or other public statements. Each drug is listed by brand and generic name, sponsor(s), type of drug, indications, Q1–Q3 2017 sales, Q1–Q3 2016 sales, and the difference between both years. Indication(s): Both Neulasta and Neupogen decrease the incidence of infection—as manifested by febrile neutropenia—in patients with nonmyeloid malignancies receiving myelosuppressive anticancer drugs associated with a clinically significant incidence of febrile neutropenia; and increase survival in patients acutely exposed to myelosuppressive doses of radiation (hematopoietic syndrome or acute radiation syndrome). For Neupogen, additional indications of reducing time to neutrophil recovery and the duration of fever, following induction or consolidation chemotherapy treatment of patients with acute myeloid leukemia; reducing the duration of neutropenia and neutropenia-related clinical sequelae (e.g.‚ febrile neutropenia) in patients with nonmyeloid malignancies undergoing myeloablative chemotherapy followed by bone marrow transplantation; mobilizing autologous hematopoietic progenitor cells into the peripheral blood for collection by leukapheresis; reducing the incidence and duration of sequelae of severe neutropenia (e.g.‚ fever‚ infections‚ oropharyngeal ulcers) in symptomatic patients with congenital neutropenia‚ cyclic neutropenia‚ or idiopathic neutropenia. 1. AbbVie (Pharmacyclics) figures reflect profit sharing for Imbruvica international revenues. 2. While Amgen reports separate sales figures for Neulasta and Neupogen, Kyowa Hakko Kirin reports sales under the combined listing of “Gran.” Effective January 1, 2014, Amgen acquired rights to pegfilgrastim and filgrastim from Roche. Roche had held those rights under license from Kirin-Amgen (a joint venture between Amgen and Kirin Holdings, of Japan), in Eastern Europe, Latin America, Asia, the Middle East, and Africa, since 1989. See Amgen announcement of October 22, 2013. Kyowa Hakko Kirin retains rights to pegfilgrastim under the name Peglasta® in Singapore and Thailand, and under the name Neulasta® in Taiwan. Kyowa Hakko Kirin retains rights to filgrastim under the name Gran in China, Japan, South Korea, Malaysia, and Taiwan.